Sadness is a slippery slope. 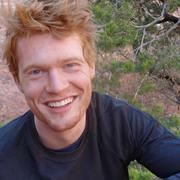 Whether its a bad conversation, a fight with your boss or a terrible code review. It's easy to get stuck in a loop. With Joyzr, you can stop bad moods before they happen. Inspired by cognitive behavioral therapy, Joyzr helps you break out of negative thought cycles by stopping them before they start. 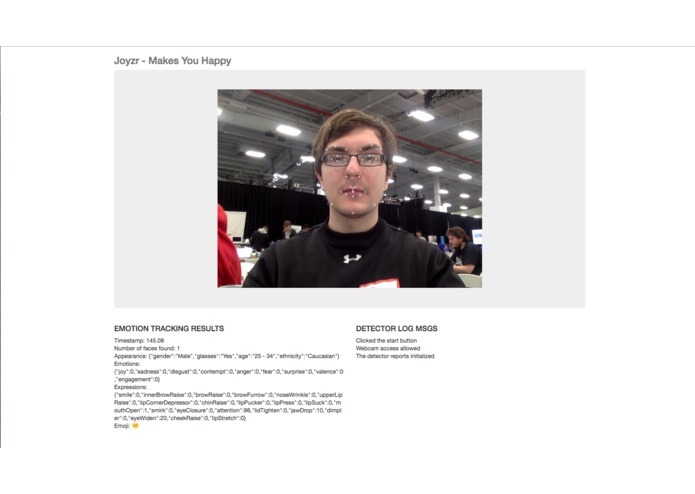 Built on PubNub's real time serverless infrastructure, powered by Affectiva's emotion engine and tied together by XapiX's API consumption tool (using Giphy, Foursquare and Mapquest APIs), Joyzr tracks your emotional state in real time through facial analysis. 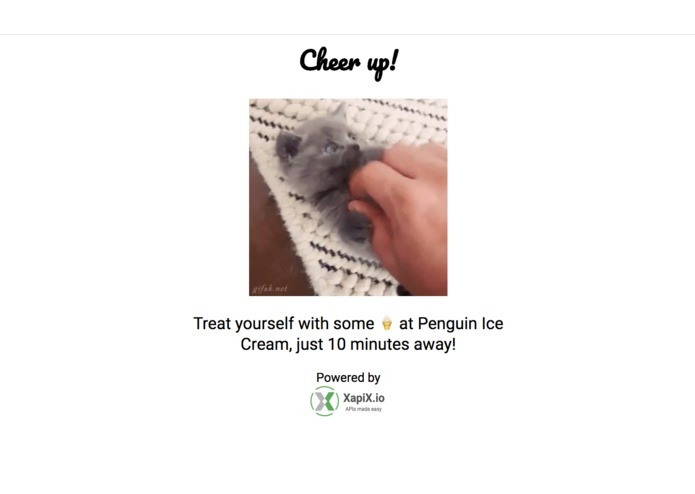 Whenever it sees a bad mood brewing, it jumps in with a cheerful message (powered by Giphy) and a fun suggestion (powered by Foursquare and Mapquest) to snap you out of it. Like the friend who has always got your back, Joyzr keeps you happy. 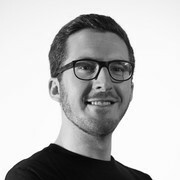 I helped build out our client-side functionality and integrate the Affectiva API!